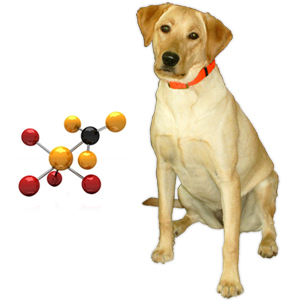 Chelation is a process which occurs naturally during your dog’s digestive process. Unfortunately, the process isn’t always very efficient and many of the essential trace minerals may not be absorbed in their inorganic state during the digestive process. Chelated minerals basically remove the inefficiency to ensure your dog is able to absorb and use the trace minerals that are ingested. Research has shown that chelated minerals are absorbed at anywhere from two to five times the rate of the same minerals in their inorganic forms. Basically, if your dog is fed only inorganic trace minerals, anywhere from fifty to eighty percent of the minerals are passed without being absorbed. Another benefit of chelated minerals is that they’re ionic compounds and electrically neutral. This means that they don’t block the absorption of each other or other nutrients. It also means that they don’t degrade the vitamins in the diet in the way that inorganic minerals can. Understanding that organic trace minerals are a good thing, you might be wondering if there’s an easy way to make sure your food has them. Many foods don’t specifically mention chelated minerals and there are different ways of labeling that don’t necessarily use the words “chelated” or “organic”. Using Zinc as an example, here’s a quick way for you to tell if the trace minerals in your food or organic. These same labeling examples for Zinc can be applied for the other essential trace minerals including Iron, Copper and Manganese. Why Doesn’t Everyone Use Chelated Minerals? There are still a lot of dog foods out there that continue to use the inorganic minerals. You might be wondering, if chelated minerals are better, why everyone isn’t using them. If you don’t know the answer already I’d be willing to bet you could guess the answer pretty easily. Chelated minerals can be quite a bit more expensive than the inorganic versions. Some foods will even use a combination of the inorganic and the chelated minerals so they can say they have chelated minerals but still cut costs by using the less expensive ones as well. There’s no viable reason to do this other than to reduce cost. While we understand that cost is always somewhat of a consideration, vitamins and minerals are not a place we’d encourage anyone to compromise. If your dog food doesn’t use chelated minerals, preferably exclusively, we’d recommend you look for an alternative food that does.